Designing and developing content for use on smartphones is very different than traditional Web design. Both technical and behavioral considerations must be made in order to successfully engage mobile users. By prioritizing features, simplifying content and reducing levels of hierarchy, PRINT2D creates stunning mobile Websites that let users interact with your company or brand anywhere, all the time. Whether you are purchasing a basic Web page or full mobile website, everything we design and build is built for you and nobody else. Much of our work revolves around re-designing logos and brands for the mobile Web and working brand attributes, like color and texture, into the layout to give your mobile presence the same level of individuality that you have worked to achieve for your brand. Located in Benton, Tennessee, Blackberry Hills Bakery offers a fine collection of granola products. 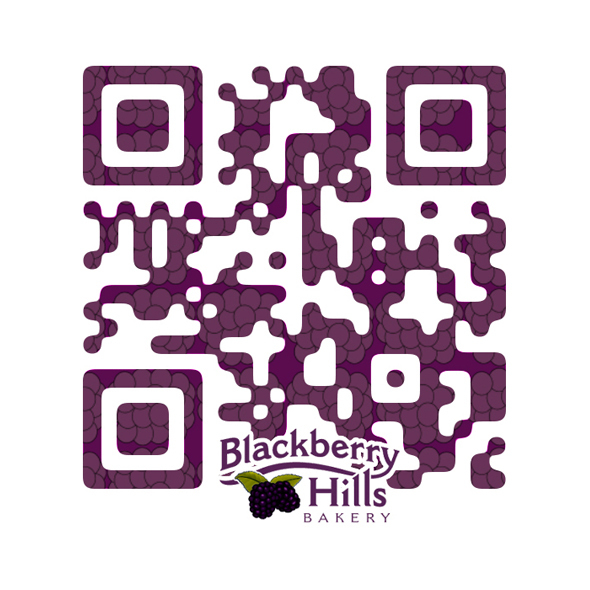 A designer QR Code printed on the back of every bag of granola ties to Blackberry Hills Bakery's basic Web page which features access to a mobile YouTube video about the company and their mobile Facebook page. - 2 Calls-to-Action: Mobile YouTube and a Social tie-in to Facebook. - Flex Design: Repeatable, patterned backgrounds and a scalable logo enable this mobile Web layout to fit any handheld device, both vertically and horizontally. 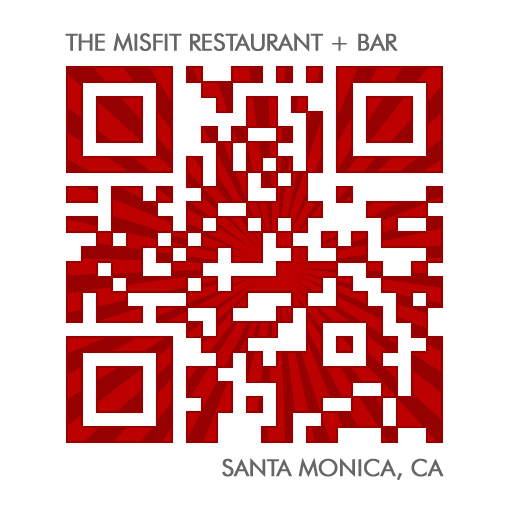 The Misfit restaurant and bar offers a casual, upscale dinning atmosphere in the heart of Downtown Santa Monica. A designer QR Code ties to the restaurant's advanced Web page which offers multiple calls-to-action. - 4 Calls-to-Action: Mobile coupon (featuring Happy Hour specials), MapIt!, Click-to-Call (supporting reservations) and a Social tie-in to Facebook. - A fixed position, full image background, with semi-transparent buttons resting above, creates an elegant look and feel while providing easy access to each call-to-action. 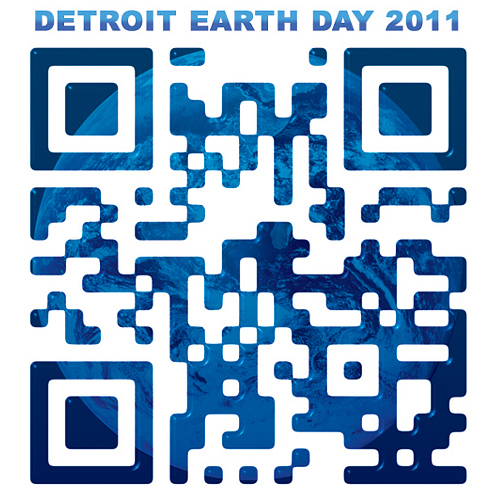 Detroit Earth Day 2011, sponsored by Grand River Printing, INC., offered practical ways to reduce, reuse and recycle. A designer QR Code tied to the event Web page which provided a simple alternative to having to register on a mobile device. - 3 Calls-to-Action: Opt-in (via email), VCalendar (.ics file for iCalendar), and access to mobile YouTube. - 4 additional content pages round out this premium Web page which gave visitors a taste of the upcoming event and the ability to register for it - all in a snap. 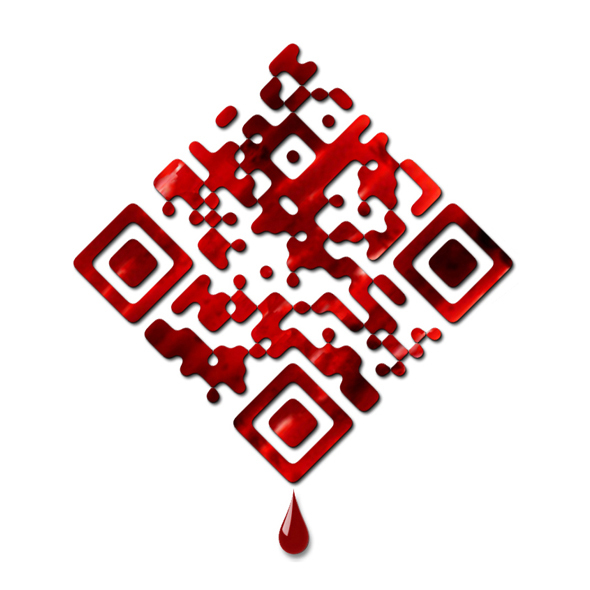 Representing some of our best known work, HBO's mobile promotion for the 3rd Season of True Blood marked the first time a designer QR Code was featured in a Television commercial. The code ties to a full Website which delivers streaming video of an exclusive clip from season three. - 2 Calls-to-Action: Streaming Video and two Social tie-ins to Facebook and Twitter help promote the show. - A fixed position, full image header provides a simple, yet sophisticated look and feel housing the navigation which runs throughout the site. Our core competency is mobile Web design and development. Let us help you build your mobile presence with the most advanced technology and knowledge in the industry. Depending on complexity of design, deliverables take between one (1) to three (3) days for Web pages and up to seven (7) days for full Websites. Final work is delivered to the client's secure management console and they are provided a user name and password via email. Web pages start at $450 / per page. Full Websites start at $1,350 (up to 5 pages). Please see pricing for web pages and sites. >> A picture is worth a 1000 words!